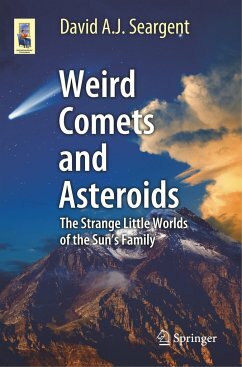 This book concentrates on some of the odd aspects of comets and asteroids. 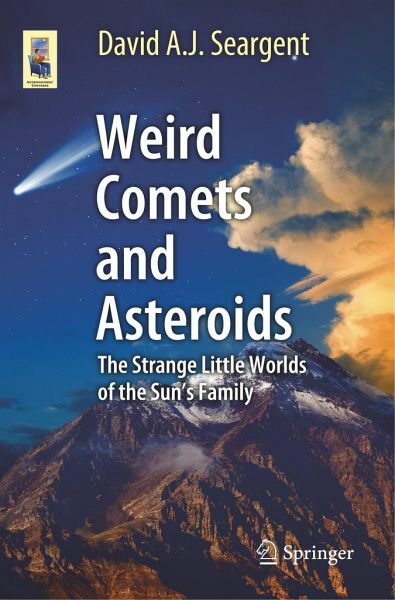 Strange behavior of comets, such as outbursts and schisms, and how asteroids can temporally act as comets are discussed, together with the possible threat of Centaurs-class objects like the Taurid complex. Recent years have seen the distinction between comets and asteroids become less prominent. Comets in "asteroid" orbits and vice versa have become almost commonplace and a clearer view of the role of small bodies in the formation of the Solar System and their effect on Earth has become apparent. Seargent covers this development in detail by including new data and information from space probes. David A. J. Seargent holds an MA and Ph.D., both in Philosophy from the University of Newcastle NSW, where he formerly worked as a tutor in Philosophy for the Department of Community of Programs/Worker's Educational Association external education program. As an amateur astronomer, he is known for his observations of comets, one of which he discovered in 1978. He is the author of six astronomy books: "Comets - Vagabonds in Space" (Doubleday, 1982), "The Greatest Comets in History" (Springer, 2008), "Weird Astronomy" (Springer, 2010), "Weird Weather" (Springer, 2012), "Weird Worlds" (Springer, 2013), and most recently "Weird Universe" (Springer, 2015). He is the author of a regular column in "Australian Sky and Telescope" magazine. 1 Unsung Little Worlds.- 2 Weird Objects with Split Personalities.- 3 Comet Oddities - Different Objects Sharing the Same Orbit.- 4 More Comet Oddities - Outbursts, Disruptions and Other Strange Behavior.- 5 The Fascinating Taurid Complex.- 6 The Mice that Roared.- Appendix 1 The Taurid Complex.- Appendix 2 Comet/Asteroid "Transition" Objects.- Glossary of Terms.- Name Index.- Subject Index.